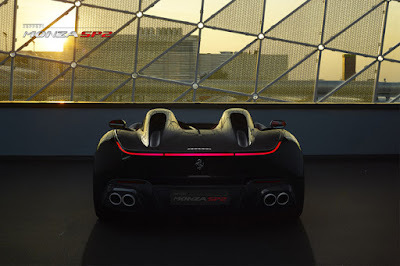 Ferrari recently showed two new cars at once, not only that, the prancing horse automaker also claimed their newest speedster will be use the strongest engine ever made. This unique speedster series are designed with a source of inspiration from Ferrari's previous model, ie the 1948 Ferrari 'Barchetta' 166 MM and also gets a little touch from 750 Monza and 86 Monza. Ferrari Monza SP1 and SP2 thus this car is called by this Italian premium car manufacturer, which is present as a sports car in which many of the most advanced technologies are pinned in it. 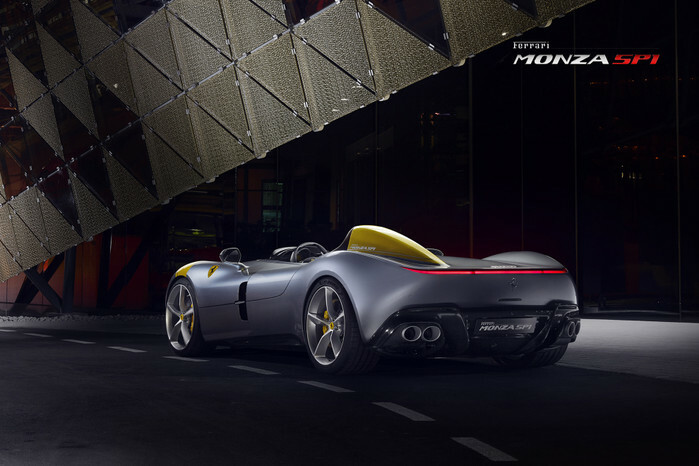 The design which is said to be 'smash-out' all references to spyder-style vehicles. This is because of the disappearance of the windshield and roll-bar features, and due of this the Ferrari designers are more flexible to design the car. 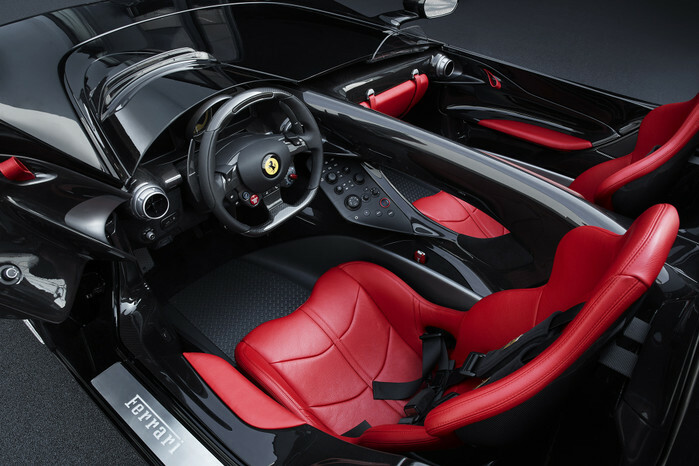 Ferrari Monza SP1 is a single-seater sports car that offers a different driving experience. 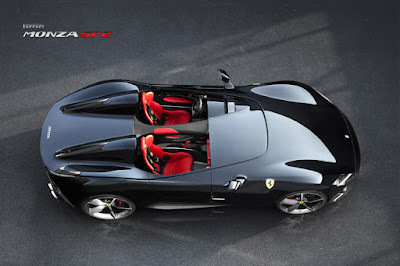 While Ferrari Monza SP2 is a two-seater sports car with an irreplaceable driving sensation. And both cars are said to be the best weight-to-power ratio vehicles, even from the Barchetta series. These cars designed by using the carbon fiber frames, have exclusive exterior and interior designs. The engine used by these cars are also said to be the most powerful of all time. The drivetrains installed on the Monza SP1 and SP2 are the 6.5-liter V12 engine, which are claimed to be able to produce a maximum power of 799 hp and a maximum torque of 719 Nm. To accelerate, both these Ferrari unroof cars only takes 2.9 seconds to reach 0-100 km/hour. And if the driver has more guts, this sports car can be driven up to a speed of 300 km/h. 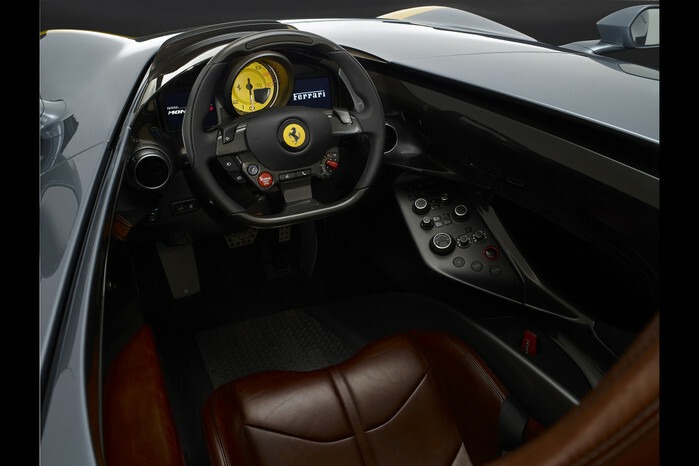 The Ferrari Monza SP1 and SP2 are mentioned using virtual windscreen to ensure driving comfort. But the consumers still have to use a helmet to reduce risk. 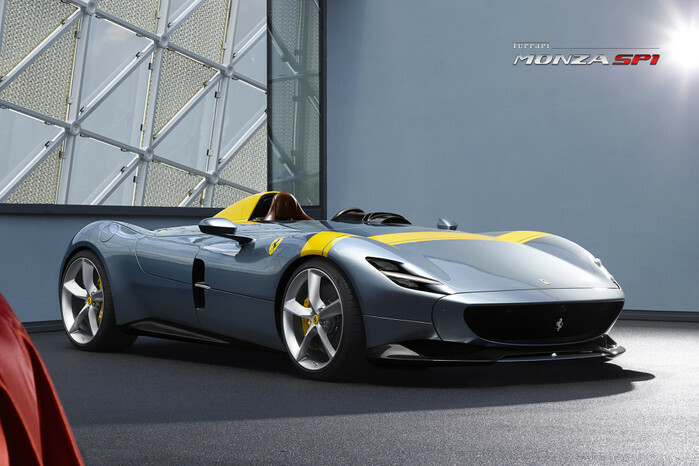 As quoted from Fortune.com, these newest Ferrari speedsters have not yet been produced and fewer than 500 units will be built but already been sold out.